This month we are looking at some organizations who care, and the work they do to help those in need. welcome you to join us in recognizing these special people and groups, without whom there would be no assistance for those who need it most. Don't forget to take a look at "Best of 2011" our annual listing of our favorites around the world in a variety of categories. Our thanks to everyone we met along the way and to the tourism groups who offered so much assistance and wonderful information throughout the year. We have included information on special events around the world. Vacation destinations for snow bunnies news, and warm weather escapes for sun lovers. We will have coverage on the Los Angeles Travel Show, with special interviews and 2012 tips. Our special Winter getaway tips from Ojai Valley Inn, offer fantastic spa remedies and healthy food & beverage suggestions. Artizan's Ball in Santa Barbara to raise funds for Sarah House will amuze you, and Sense of Style has notices and updates on wonderful artistic performances. Culinary Coup gives you a chance to replicate a great heirloom tomato recipe I cooked up with Chef Minton at the Ojai Valley Inn. 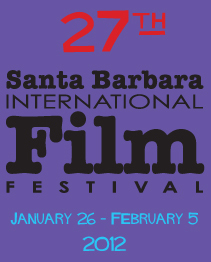 Tinselltown tidbits is filled with Santa Barbara International Film Festival news, along with SAG, Palm Springs and Emmy outcomes. I have only one prophecy for 2012 . . . George Cloooney!! If you are traveling visit our links page to find airline contact information. In 2009 I urged my readers to write their congressman, Secretary of State Hilary Clinton and work for the release of American student Amanda Knox who had been wrongly convicted of a murder in Perugia, Italy. Thank God, and all the people who knew she was innocent who acted, she was found innocent and released to return to America just before Thanksgiving. My readers know that I have always had a special place in my heart for Italy, and have dedicated much of the material in this magazine to promoting Italy, however, this trial made it difficult for me to continue my "Italy is Wonderful" approach, and I am very happy the court in Perugia released Amanda, and I am grateful to the attorney's who represented her. This week the Italian goverment made a public statement regarding the wrongful imprisionment of Amanda, and clearly exhonorated her. I think many lessons were learned by many people from this unfortunate incident. The Food Network has some exciting new programs, and hot new chefs lined up for 2012 viewing, and recipes that will make your New Year gatherings outstanding. visit: www.foodnetwork.com. Look for TASTETV Awards coverage from the Egyptian Theatre in Hollywood in our February issue. SIPS offers unique holiday cocktails and recipes from Maravilla, NYC and elsewhere...take a sip! We wish you a very HAPPY NEW YEAR, and hope you will join us in praying for world peace. Thank you for the prayers that are bringing our young men and women who have been fighting in distant lands home. This January issue of Life Bites News marks the 7th Anniversary of Life Bites News Magazine, and we thank you so much for your continued support.